For beginner to recommend use the NodeMCU Flasher. What is NodeMCU Flasher tool? How Download the NodeMCU Flasher tool? Which platform PC’s devices supports NodeMCU Flasher tool? Why firmware not update in ESP8266? Which firmware is best to upload to ESP8266 (Float/integer)? NodeMCU Flasher tool is flashing the NodeMCU Firmware to ESP8266 Easily. This tool is developed by NodeMCU. 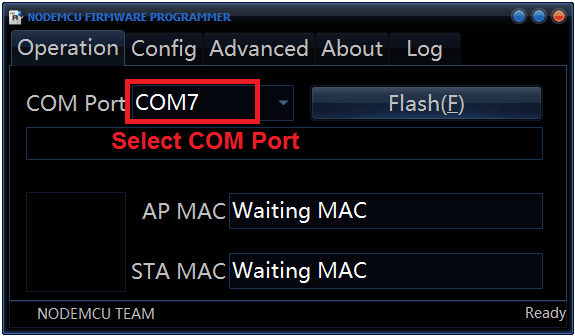 Step 3 : Make sure correct COM pot of ESP8266 USB port detected. Firmware is a piece of code for small type of device. The firmware contains binaries, that can do all the works and process. If you have a questions like following, you can learn all of this questions solutions here. What is the format of NodeMCU Firmware? What contains the NodeMCU Fimware? How to build the NodeMCU Firmware for ESP8266? How to compile the NodeMCU Firmware for ESP8266? How to build the NodeMCU firmware from source? How Build NodeMCU firmware for ESP8266 in Linux Machine? 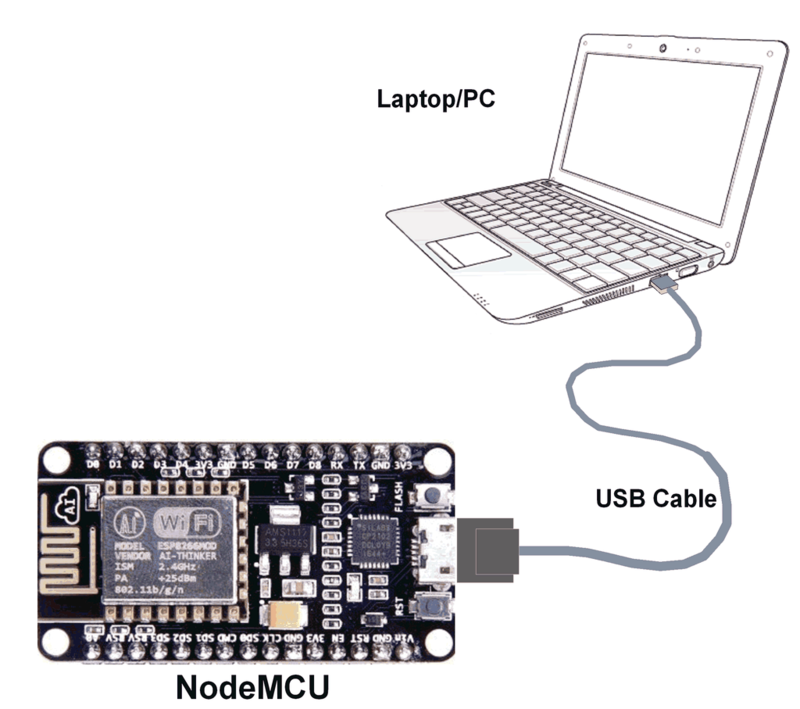 How Build NodeMCU firmware for ESP8266 using web based Cloud? how to build NodeMCU firmware on your own? What are the ESP8266 modules are support this NodeMCU Firmware? Which ESP8266 modules is best for NodeMCU Firmware? 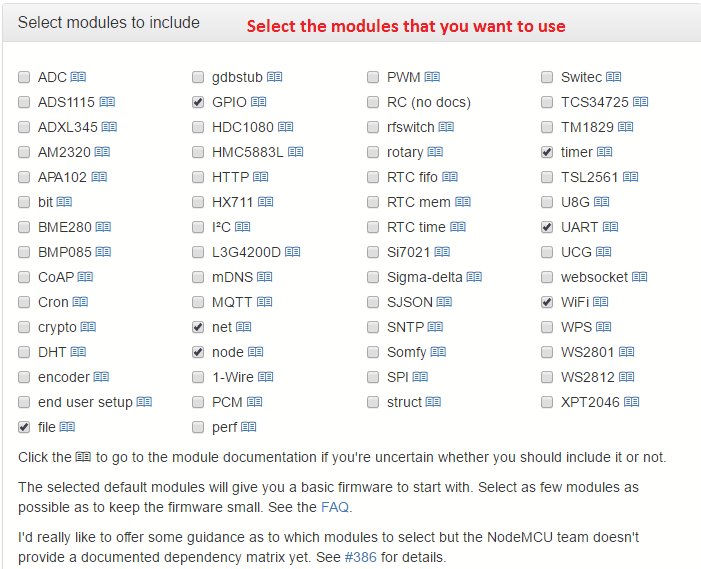 NodeMCU firmware is contains many lua modules. Lua modules are contains many lua library files and calling functions. You can select based on your requirement in custom firmware build page. you will get a email about firmware building started and finished notification. In finished Notification mail you can download float and integer type NodeMCU .bin firmware file. 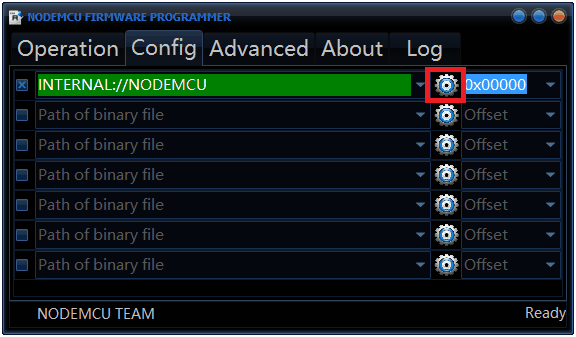 If you have a more number of custom NodeMCU firmware, but firmware name does not contains the details of info about what are the NodeMCU module libraries are present. 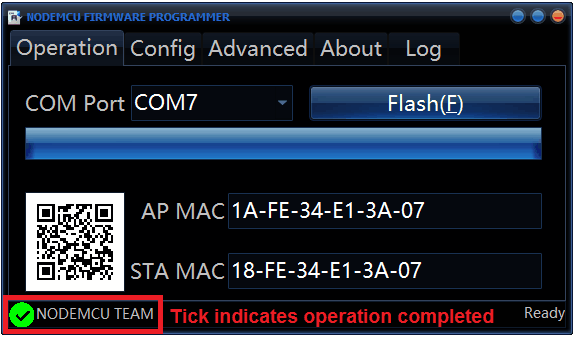 if ESPlorer work fine means ESP8266 returns the firmware details, some times ESPlorer IDE does not auto detect the firmware details. so you should note that your custom NodeMCU firmware details yourself. 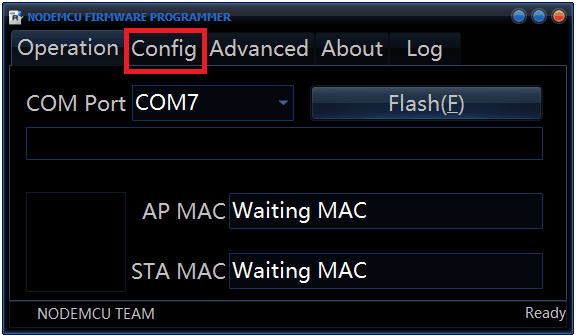 In this post will help to firmware details list easily by using small code. 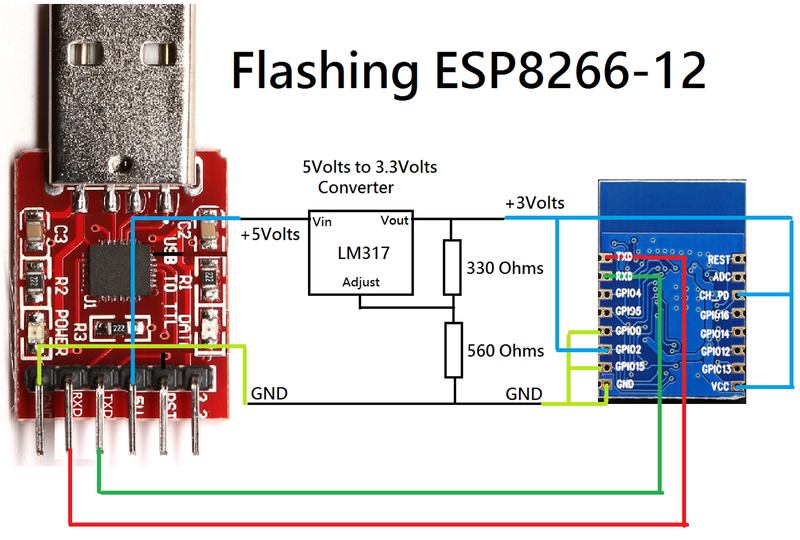 ESP8266 – How to build and flash firmware to ESP8266? ESP8266 Build and flash the firmware is very easy job. before that you need to choose the correct esp8266 platform (Arduino Core, AT Command, NodeMCU, Mangoes OS, Micro-python) for your requirement. At first you should know, what is esp8266 firmware? esp8266 Firmware contains a collection of library files or binary files. Why need to flash Firmware into esp8266? like when we think, we can’t able to write all code our self. so we will follow some open source. if you use open source you need to flash the selected open source library file into esp8266 before start your application. if you select AT commands, NodeMCU, Mongoose, and ESPressif methods you need flash the firmware before. In Arduino method you don’t need to flash the firmware first. when upload the arduino compiler build the firmware with our application code as bin file. Flashing the firmware to esp8266 is very easy and simple.